John Lawrence Antonelli was born July 15th 1915 in Memphis, Tennessee. The five foot ten, right hand hitting infielder had a brief playing career making it to the big leagues in 1944. He played eight games for the St. Louis Cardinals batting .190. After just two games in 1945 he was traded to the Philadelphia Phillies, where he played as a regular third baseman. In 125 games he hit .256 with one HR & 28 RBIs. It was his only season as a full time player & his last in the major leagues. 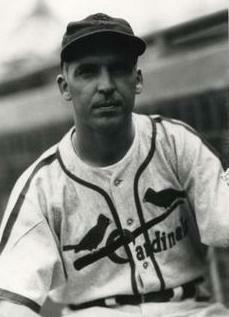 Antonelli played 15 seasons in the minor leagues, hitting a career .287 while playing through the 1950 season. Retirement: After his playing days he managed the Memphis Blues a Mets minor league team in the Texas League in his home town. They were the first minor league team in Memphis beginning in 1968. In 1969 Antonelli was one of three Memphis Managers, including Roy McMillan who went on to be a Mets coach. That year the Blues won the Texas League championship, surprising everyone just like the MLB Amazing Mets were doing. Antonelli managed the club for three more seasons through 1972, making it to the finals in 1970 but losing. In 1973 Antonelli was promoted to the Mets AAA Tidewater Tides club in the International League. 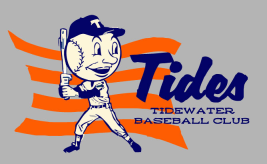 The TIdes finished fifth in 1973 & fell to seventh in 1974. In 1975 he remained in the Mets organization but switched over to the newly relocated AA Jackson Mets in the Texas League. The club were formerly the Victoria Toros & moved to Mississippi. In 1975 they finished up at .500 (65-65) in fourth place. In 1976 Antonelli finished fourth again with Jackson finishing up his managerial career. After that Antonelli served as a roving minor league infield instructor through the 1985 season. Passing: He passed away in 1990 in Memphis at age 74.